Panchsheel Park is the best of the best locality of South Delhi. It is on the outer ring road so the connectivity is very strong, wide road inside the blocks make the area more attractive, great environment and neighborhood is the best part of the colony, max hospital is just two minutes away, Panchsheel club the very famous in South Delhi and for residence the membership is very reasonable. This locality is close to Select City Walk and DLF Saket is just 10 minutes away for shopping makes the place more beautiful. Airport is around 10 km away. 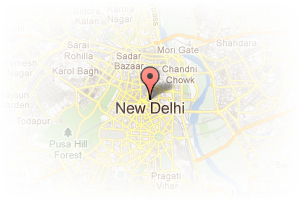 Address: B-219, 2nd floor, Somdat chamber 1, Bhikaji cama place, Bhikaji Cama Place, New Delhi, Delhi, India. 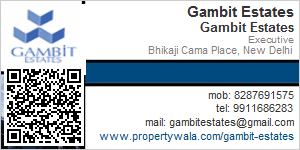 This Builder Profile page for "Gambit Estates" has been created by PropertyWala.com. "Gambit Estates" is not endorsed by or affiliated with PropertyWala.com. For questions regarding Builder Profiles on PropertyWala.com please contact us.